Greta Gerwig made her name elevating micro-budget mumblecore films like LOL, Hannah Takes the Stairs, and Frances Ha through sheer force of her wry, earnest charisma. 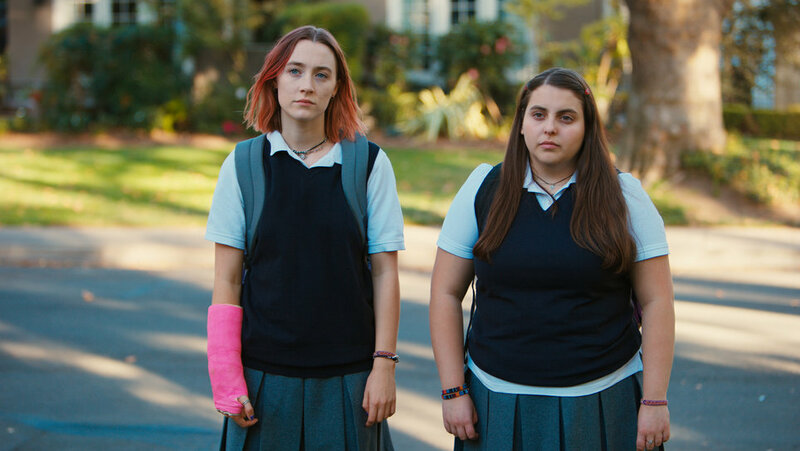 Not surprisingly, she’s finally made her directing debut with an accomplished film brimming with nuance, humor and insight about a precocious young Catholic school girl from Sacramento who dreams of escaping to a life of culture and art. It’s a story not unlike Gerwig’s own, and Saoirse Ronan channels Gerwig’s charisma via her own with a performance that’s already generating serious Oscar buzz. In theaters November 23; a24films.com. Your typical prestige film doesn’t feature four-letter words spewed at a Gatling gun rate by an Oscar-winning actress, but nothing about Irish playwright-turned-auteur Martin McDonagh’s films is typical. 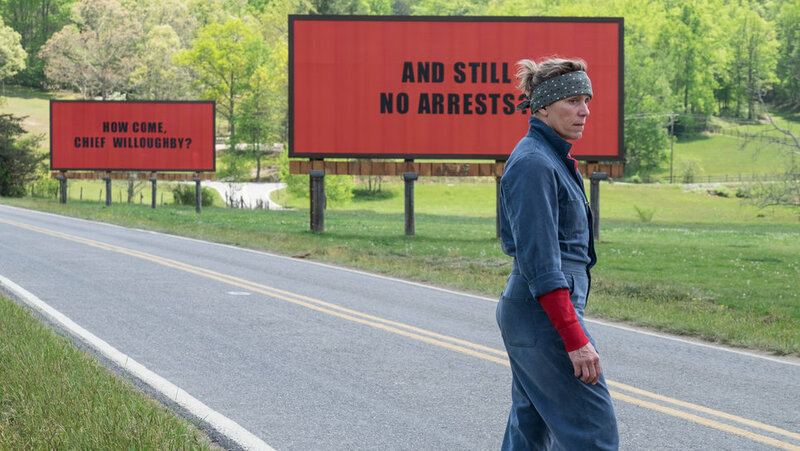 In the same darkly comic (and profane) vein as In Bruges and Seven Psychopaths, McDonagh mines Greek tragedy from relentless invective with his tale of a mother who rents three billboards to harangue the local cops for not finding her daughter’s killer. Not surprisingly, things go downhill from there. Despite the film’s raw, outrageous humor, McDormand has already garnered serious buzz for a possible second Oscar as the vengeful, grieving mother. In theaters Nov. 10; foxsearchlight.com. Indie godfather Richard Linklater has recently marched back into the fore of the public consciousness with artistic triumphs like Boyhood and Before Midnight. 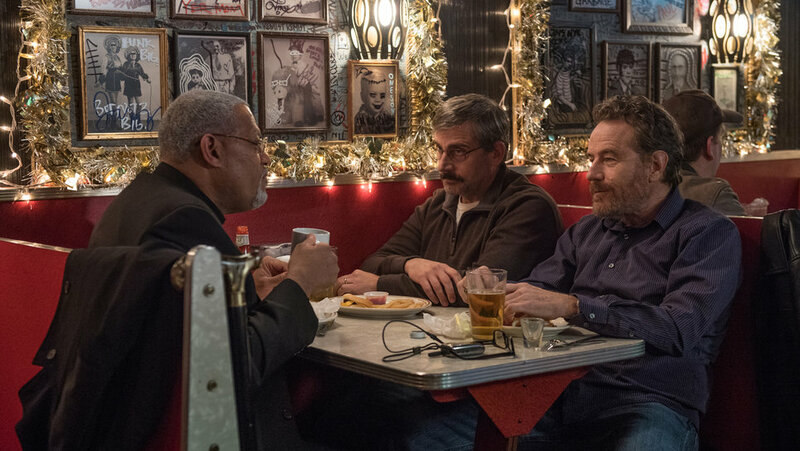 His latest may not garner the same awards buzz as those previous efforts; however, given Linklater’s constant drive for artistic challenge, any new film of his is worth checking out, especially when it stars the likes Laurence Fishburne, Bryan Cranston, and Steve Carell. The three play a trio of veterans undertaking a cross-country odyssey to bury one of their sons who died in Iraq. In theaters November 3; lastflagflying.com. Lost among the rising tide of awards buzz, there are always a few films unlikely to resonate with stodgy Academy votes that nonetheless offer up something intriguing, Oscars be damned. Case in point is this festival gem, Marc Meyer’s bizarre yet wholly engrossing coming-of-age tale about infamous cannibal Jeffrey Dahmer. Disney star Ross Lynch undergoes a stunning transformation as the young psychopath and achieves the impressive feat of making you both identify with the young Dahmer’s social struggles at the same time as you are horrified by the knowledge of what he will become. In theaters November 3; youtube.com. 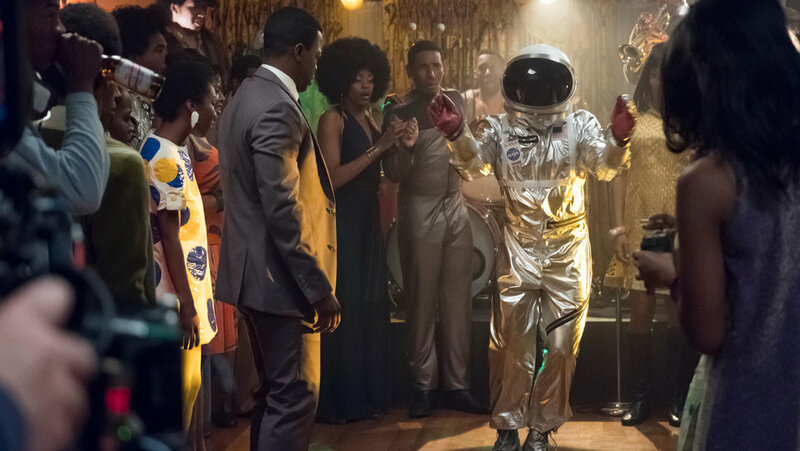 Every now and again the legacy networks cough up a one-hour drama that at least attempts to compete with the largesse of dramatic richness available on streaming. This redo of Aaron Spelling’s famous TV series—conceived more in the spirit of the 2003 box office blockbuster—might not initially seem all that promising. However, it comes courtesy of Shawn Ryan, the TV guru behind shows like The Shield and The Unit that arguably inaugurated our new era of prestige dramas. 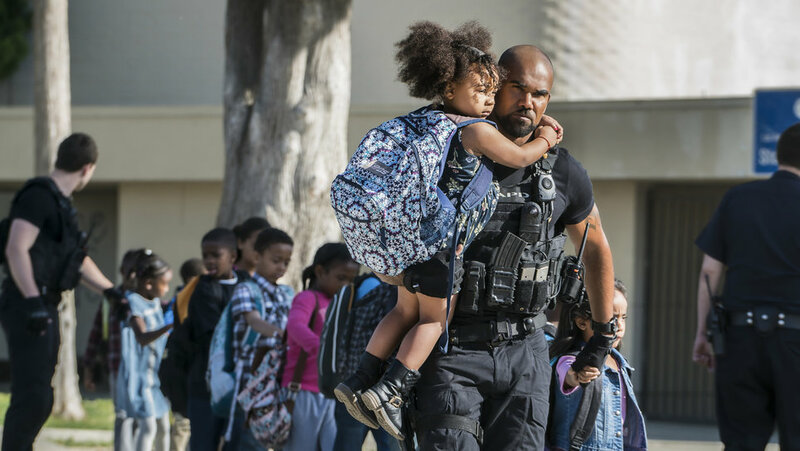 While this version of SWAT is most assuredly not The Shield, it nonetheless may offer up something a little extra beyond the typical network procedural. Premieres on CBS November 2; cbs.com. If you long for a lost America when life was simpler and everyone had a clear moral compass, Damnation should disabuse you of that fantasy. Set in Depression-era America, USA’s latest dark, insurrectionist series follows a young agitator (Killian Scott) posing as a preacher who attempts to rile a small Iowa town into full-blown class warfare. The one person standing in his way: a professional strikebreaker hired by a local tycoon who’s also his brother. 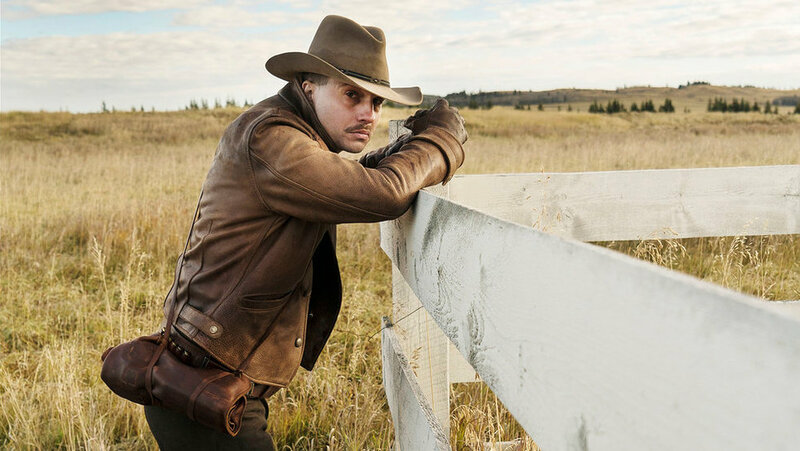 With a pilot directed by Hell and Highwater’s David Mackenzie, Damnation promises to turn the mythos of the American heartland into one big, bloody epic poem of feud and betrayal. Premieres on USA November 7; usanetwork.com. Director Dee Rees burst onto the indie film scene with her potent coming-of-ages tale Pariah about a young black lesbian navigating her sexuality in Brooklyn. For her follow-up, Rees has been rewarded with a dramatic expansion of her cinematic canvas courtesy of Netflix. 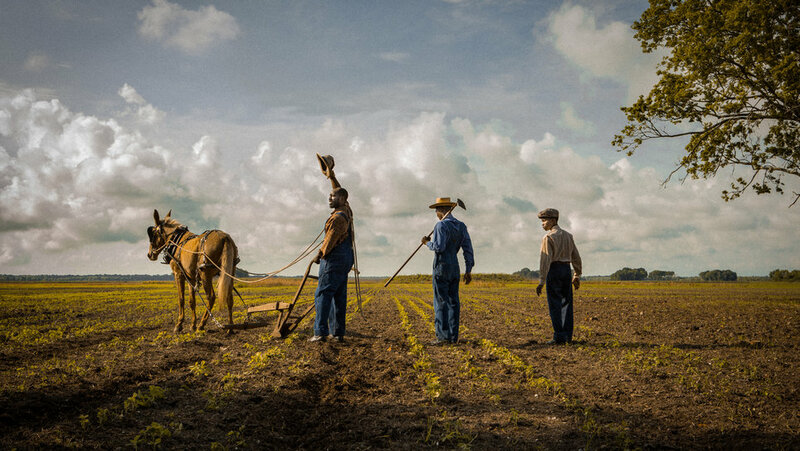 Earning raves out of this year’s Sundance Film Festival, Rees’ adaptation of Hillary Jordan’s book follows two families—one white and one black—struggling to scrape an existence out of the Mississippi Delta during World War 2. Reviewers liberally tossed around the epithet “Faulknerian” and with a cast featuring Carey Mulligan, Jason Clarke, and Mary J. Blige, Rees' second film looks to easily live up to that praise. Available on Netflix November 17; netflix.com. After Hulu’s The Handsmaid’s Tale took home the Emmy for Best Drama this year, septuagenarian and Canadian literary star Margaret Atwood has found herself at the peak of chic. This new series from Netflix should only continue the trend with an adaptation of Atwood’s 1996 Booker-prize shortlisted novel. Written by Sarah Polley, the indie-darling auteur behind Away from Her and Take This Waltz, Alias Grace tells the tale of a young Irish chambermaid (Sarah Gadon) in 19th-century Toronto accused of a murder she can’t remember and the psychiatrist charged with digging the truth from her unconscious. Available on Netflix Nov. 3; netflix.com. A-list screenwriter Scott Frank has been the pen behind formidable modern touchstones like Get Shorty, Out of Sight, and Minority Report; now he gets to partake in the glories of our streaming age with his own Netflix limited series. Headlined by Downton Abbey’s Michelle Dockery and Jeff Daniels, Frank’s good, old-fashioned Western tracks a New Mexican town composed entirely of women left behind after a mining accident kills all the menfolk. They must fend off a band of cutthroat outlaws, and this being a Scott Frank script, the lady folk prove as eminently capable with a revolver as they are with a cutting turn of phrase. Available on Netflix November 21; netflix.com. Somewhere between the 12th gritty drama on your Netflix queue and the nth Oscar favorite, you’ll probably hit prestige saturation point. You might suddenly find yourself yearning for a good ol’ fashioned brain-numbing nostalgia: enter producers Seth Rogen and Evan Goldberg. The duo have shepherded this shameless comedic rip-off of '80s action films like Back to the Future and Terminator with Josh Hutcherson as a janitor tasked with preventing a future dystopia by stopping his boss from inventing a cure for gonorrhea. No, it doesn’t get much smarter than that, and that’s precisely the point. Available on Hulu November 14; hulu.com.